Bully, an open world, action-adventure video game developed and published by Rockstar Games was released in 2006 for assorted game systems. It’s POV is third-person. Teenage protagonist Jimmy Hopkins navigates the world on foot, by skateboard, or by bike. 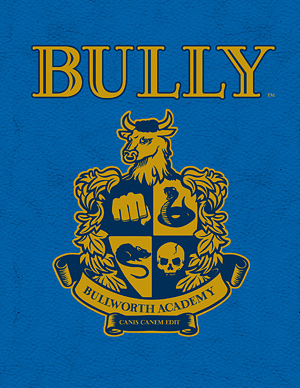 Jimmy is involuntarily enrolled at Bullworth Academy, which turns out to be a warzone is full of bullies. Through playing as Jimmy, users become a positive force, bridging rival groups and bringing peace to the school.